Google Ads is a complex and constantly evolving advertising system. Its management requires in-depth knowledge and experience. Even the most experienced specialists may make mistakes by error, omission or habit. A Google Ads audit allows you to check and see that all its features are used properly. Who is it for? The audit is designed for any business using the Google Ads system. It does not matter whether it is currently managed by an internal team, an independent specialist or an agency. What is it about? Our audit not only verifies the configuration of Google Ads and conversion tracking systems, but also provides an in-depth analysis of how Google Ads help achieve business goals. We point out errors, inefficiencies and missed opportunities. What do you get? The audit assesses the health of the Google Ads account and recommends specific changes and corrections. We present these notes in the form of a document or presentation. You can then make these changes by yourself, with the agency that supports your campaigns, or with our help. What is the cost of the audit? 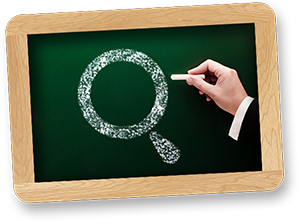 Before making a quotation, we will access your Google Ads advertising account, as well as Google Analytics, to assess its effectiveness. We will estimate the time required for the audit and which areas most need it. We also conform to your expectations and confirm your business goals. This preliminary analysis is carried out free of charge and without obligation. From these results, we will quote a fee. analysis of amplification and cannibalization between advertising channels and organic traffic sources. The audit explicitly shows how to increase the efficiency of your marketing budget. That means your investment in an audit can pay off almost immediately.